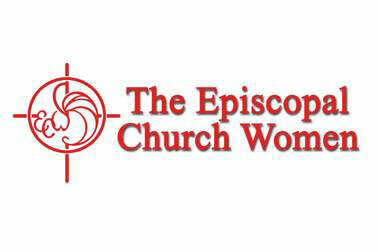 The mission of the Episcopal Church Women in the Diocese of Connecticut is to “be an integral part of the total life of the parish as it supports and promotes the work of our Lord, Jesus Christ…” Through individual and corporate ministry, the ECW at Christ Church Bethany supports outreach projects, our church, and each other. Numerous Outreach Projectsare funded by the ECW’s fun-filled annual Friday- night- and- Saturday-before-Thanksgiving “Pumpkin and Holly Bazaar.” Included each year are some or all of the following recipients: the Valley Food Bank, Spooner House, St. Luke’s Services, Valley Umbrella, New Haven Domestic Violence Services, Camp Washington, ECW White Envelope, Episcopal Relief & Development, Nambale Magnet School, NEON, St. Andrew’s Food Service, andMariah Emery, a member of the Rosebud Reservation in South Dakota whom we are assisting with college expenses in loving memory of our former ECW president, Mildred Bohannah. Church Projects also benefit from the “Pumpkin and Holly Bazaar” profits. Major worthy purchases include the dishwasher, stove, and ceramic tile floor in our Parish House kitchen. Also included are new tables, bookcases for the rector's study, a ping pong table for the parish hall, the sanctuary front door stair project, a donation towards the granite slab for the sanctuary steps, a new fair sign, the rector’s discretionary fund, and tuition for a young parishioner to attend Camp Washington. We Support Each Other, and that’s equally important. A core of devoted members meets quarterly. We enjoy the warm fellowship of friends as we plan fund-raisers such as our recent “Soup to Nuts Tag Sale,” discuss new outreach projects and purchases for the church, arrange for high teas and other church events, and plan social activities such as an ECW party or luncheon. We hear who is ill or in need. We are always there for each other. Looking to the Future, we have the goal of a larger and even more active ECW, composed of women of all ages. We warmly welcome all new members and ideas for church and outreach projects. All women parishioners are automatically members of this special group. Come to meetings and help our dreams become a reality.